Made from the same rugged design as the "CLASSIC" whip, but with 2 x the brightness. Includes our proprietary quick connect / disconnect mount. No tools needed when installing and removing the whip. 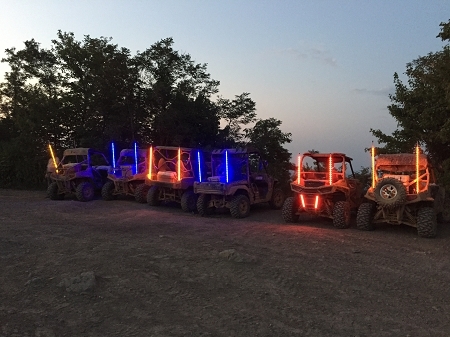 Xtreme LED Whip, NightStalker - RZR, YXZ1000r, Maverick, Ranger If you’re looking for an LED whip that’s tough, and will last a long time, then a Tribal Whip is right for you. We have more than a decade of experience and many thousands of satisfied customers to prove it. NightStalker LED whips include a lot of design features, not found anywhere else… they’re hard to replicate, and often over looked. But these features are what make our LED whips more superior than others. Ideal for your Polaris RZR, Yamaha YXZ1000r, Can Am Maverick, Jeep, Truck and so much more. Trails, sand dunes, desert off road, Muddin'n... Tribal Whips can handle it all. WhipZilla LED whip, Visible for up to 4 miles… There’s nothing else brighter. Warranty: 12 month limited warranty against manufacturers defects and craftsmanship.